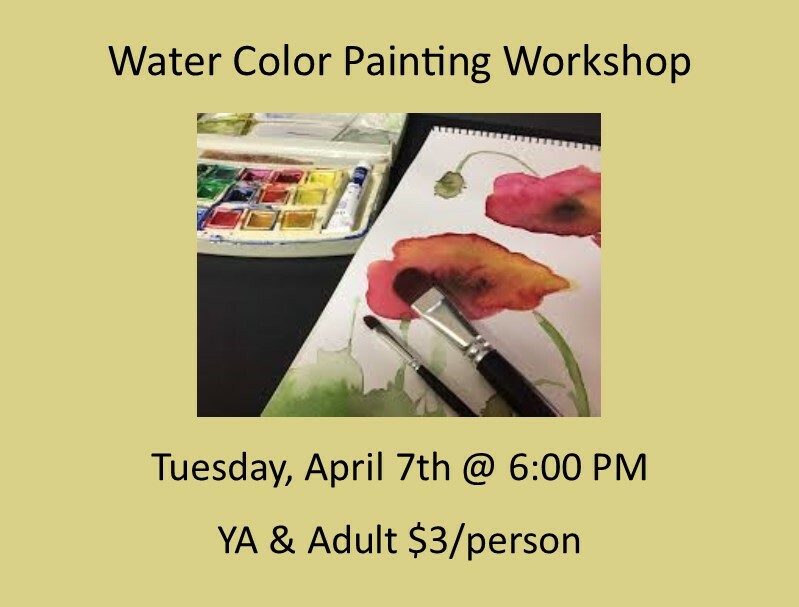 Thanks to the sponsorship of the Friends of the Beacon Falls Library we would like to offer a fun evening of watercolor painting. Join local artist, Rich DiCarlo, with the Valley Arts Council while he guides you step-by-step in creating a beautiful masterpiece all your own. No prior artistic abilities required. Great for beginners and pros alike. $3 materials fee is required at time of registration.